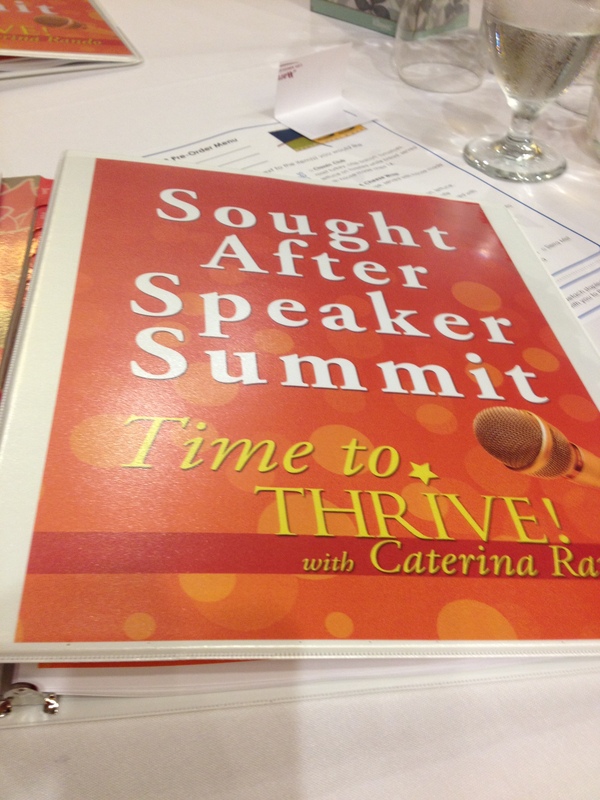 This is part 3 of the Sought After Speaker Summit training. You can read part 1 here and part 2 here. There were women from all walks of life at this training – all ages, races, economic classes, faiths or religions, marital status, education, work experience. I think we all had the same goal: how to achieve success, how to reach the next level in our businesses. And I think success is something you have to define personally, what it looks like for you. For me, success does mean building substantial wealth. Not to buy new toys, but to help get our family out of debt, build wealth for us and our children’s futures, and to travel all over the world for both missions and pleasure. To me, success also means life-work-family balance. God and my family come before my business. They are my priorities. At the same time, they need to honor and respect when I need to work on projects. This doesn’t always happen. I’ve talked with other speakers and entrepreneurs, who have said it happens at their houses, too…they get interrupted just as soon as they start working on something important! God spoke to my heart last year and told me that my family is NOT an interruption. To realize they matter more! This is something I continue to work on and ask God for help daily. One of the reasons I choose to work from home is because I love being the CEO of my business, setting my own schedule, taking time off when I want or need to, spending time with those I love. I am using the spiritual gifts God has given me in my work, fulfilling my purpose and my dreams in speaking, writing, coaching, and traveling. 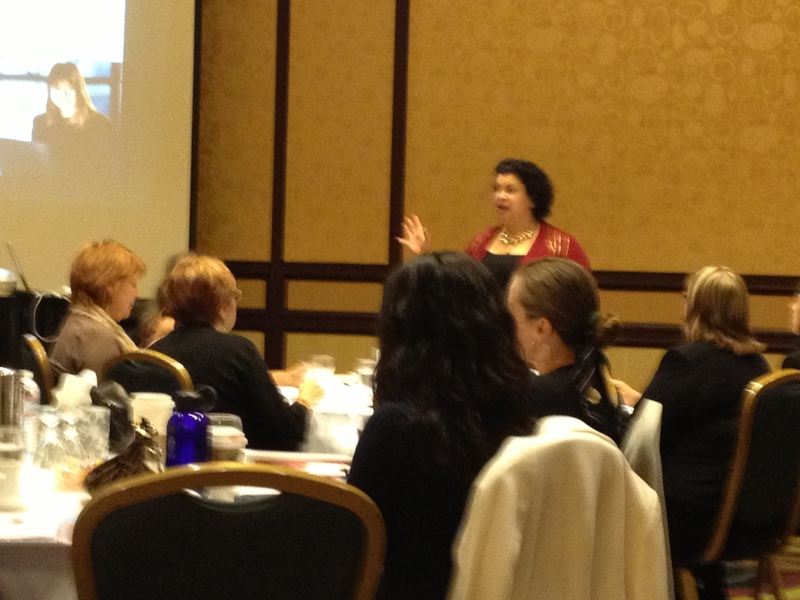 Create a Compelling Vision and Make Your Business Thrive With Speaking! How to Use Social Media to Become a Sought After Speaker by Yvonne Elm Hall, who I sat by and talked with the first day. She has tripled her revenue working with Caterina! I LOVE her pretty website and heart logo! 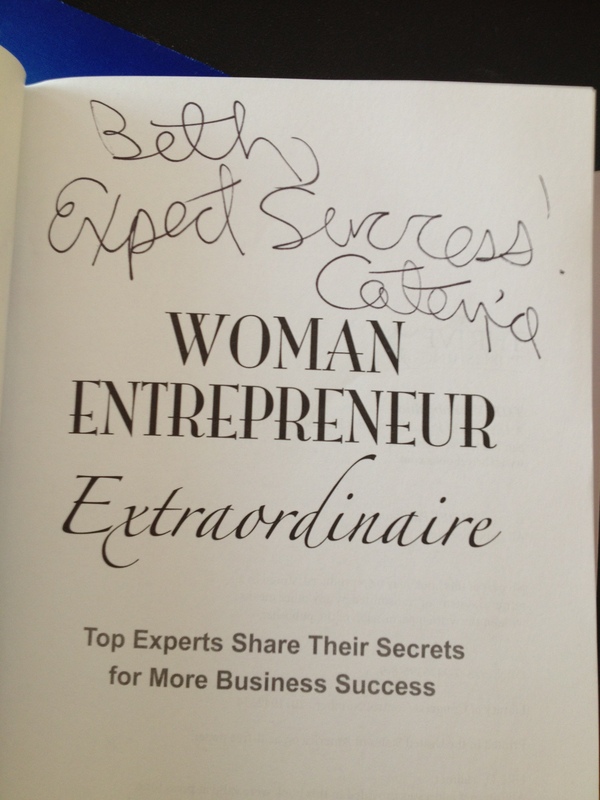 How to look Like a Successful Sought After Speaker, by KL Moore. I made two new friends, who sat at my table, so I was really excited about that. KL is a Christian, and I told her I didn’t believe in coincidences with her sitting right beside me! KL is in Caterina’s advanced business program and encouraged me to sign up for her advanced speakers’ program next year. She’s praying for God to show me what to do, and we exchanged emails and plan on talking again! 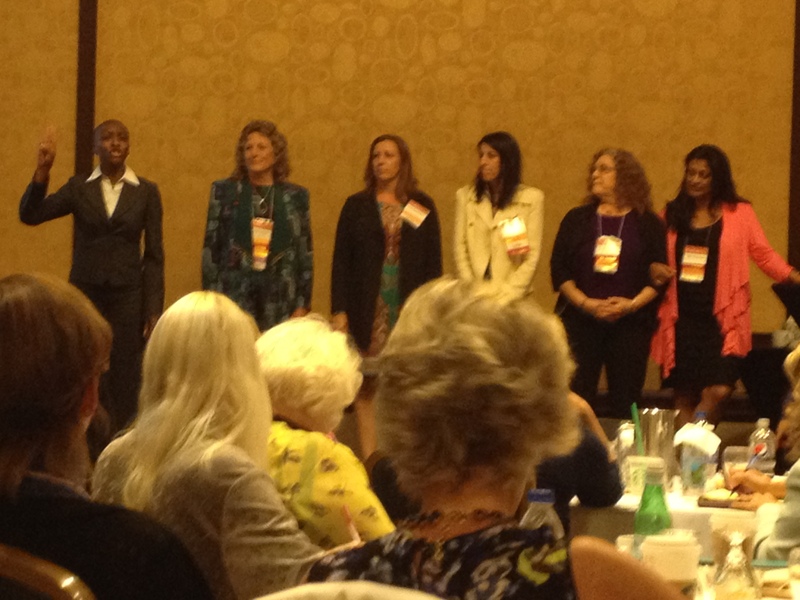 KL Moore, petite, pretty and powerful, is standing on stage here (first on the left) as Caterina asked her and her other advanced program clients to come forward to share how the programs have helped them in their businesses. 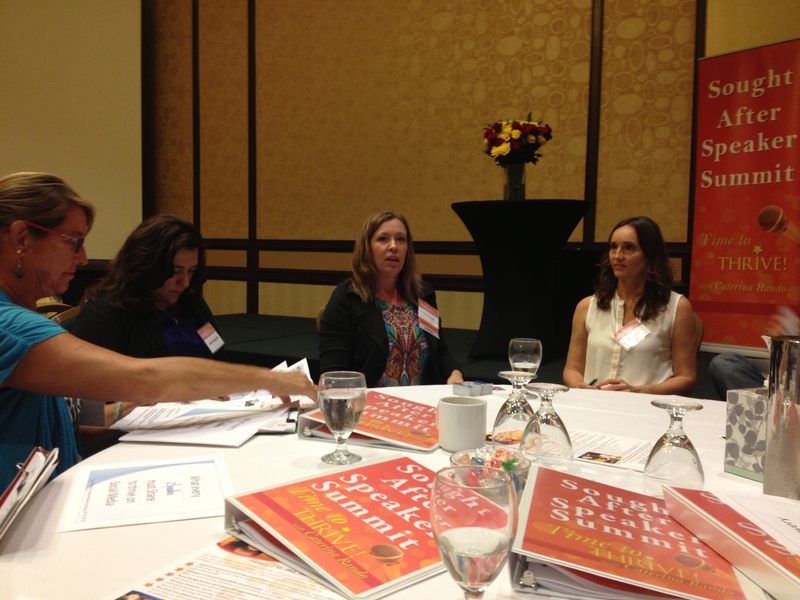 Here’s Vanessa at my table – the very pretty Asian, tiny woman on the right. The other women at my table were so sweet, but I forgot their names – guess I need to practice this skill, as Caterina would say! I think the woman in the middle was Nancy and the woman on the left was Julie – but don’t quote me on that! 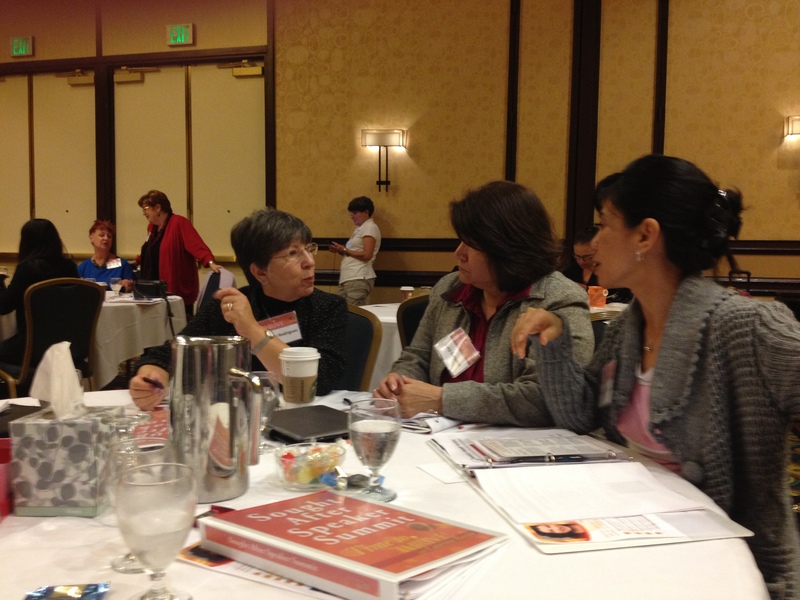 Notice the cute, colorful orange binder on the table that Caterina gave us for the training. It has sheets with helpful tips and action steps for us to write down and begin. Here’s Yvonne (middle seat), looking at the camera. 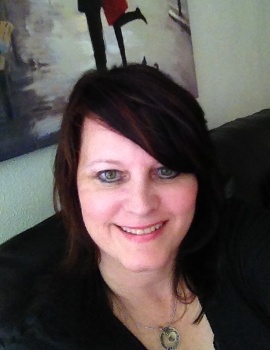 Yvonne is a Social Media Brand Strategist. Hers and KL’s workshops had great info. Another woman I met, Janet McIntosh, is a VA (Virtual Assistant), so I got her card! I may need her as I intend to apply what I learned at this training! After lunch and during a couple of the breaks, 80’s music played and some of the women danced. That was fun. 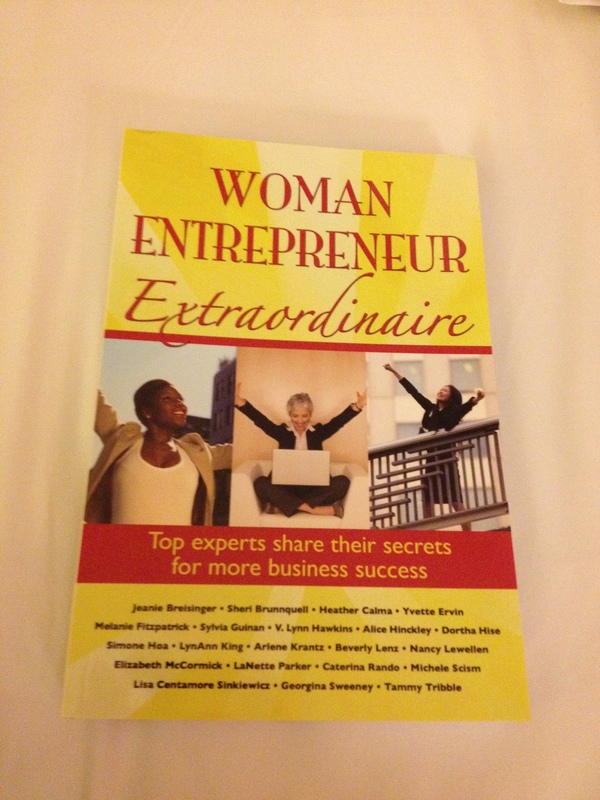 Caterina had some leftover goody bags from a previous training, and this goody was in the pink bag: Woman Entrepreneur Extraordinaire – secrets of business success, written by multiple authors. This week I”ll share some of the things I learned with you! I’m thankful to God for this amazing opportunity, grateful to Ray for working overtime shifts for me to be able to go, and to Heather for letting Leah stay with her while I was gone and Ray was at work. What do you think about this post? 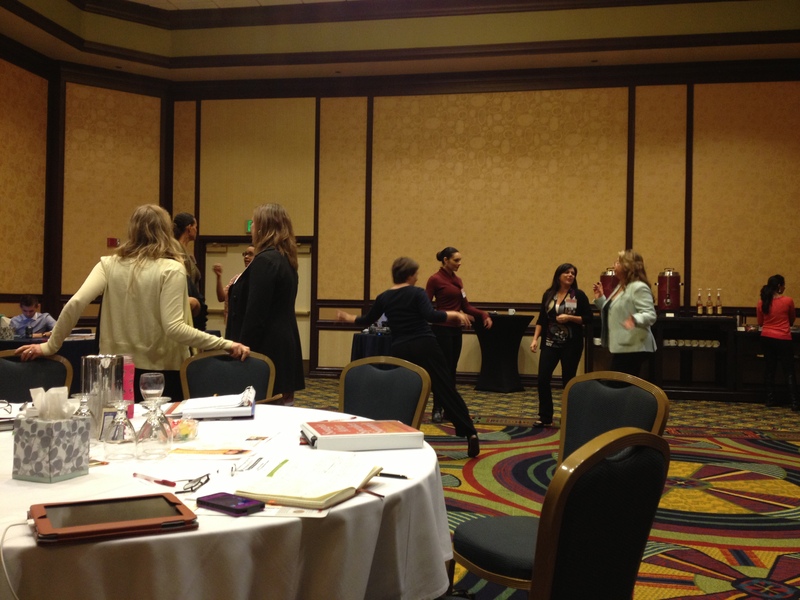 What trainings have you gone to for speaking or your business, and what was your big aha? Mine was the amazing content and how “available” Caterina was with the attendees! I also loved making a new friend, KL!